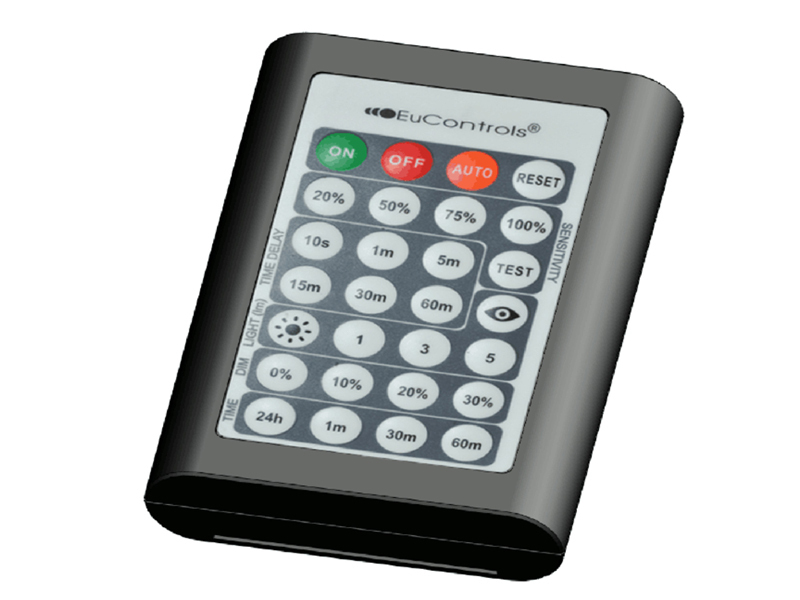 Designed to work with EuControls dimming occupancy sensors. Operating distances up to 45 ft. Durable polycarbonate construction with membrane buttons. Low cost & warrantied for 5 years.